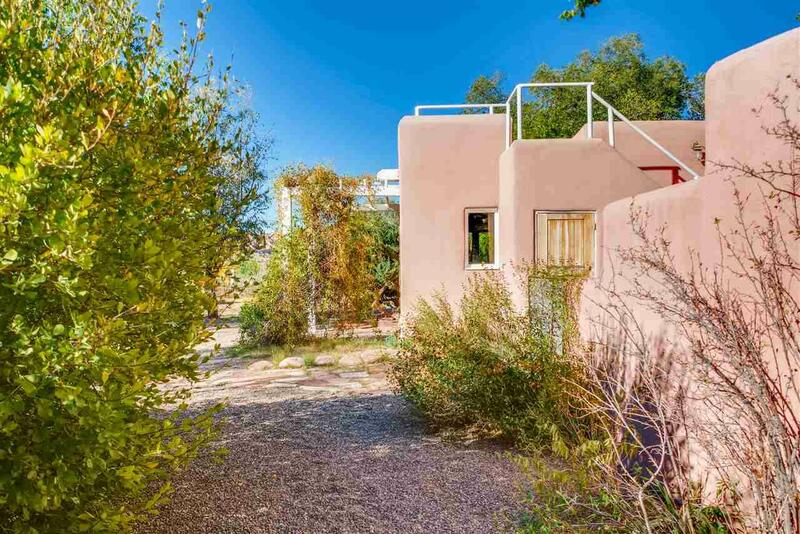 Casa Azul, once the historic Cady Wells painting studio, rests in the wetlands of Jacona just 20 minutes from both Santa Fe and Los Alamos. 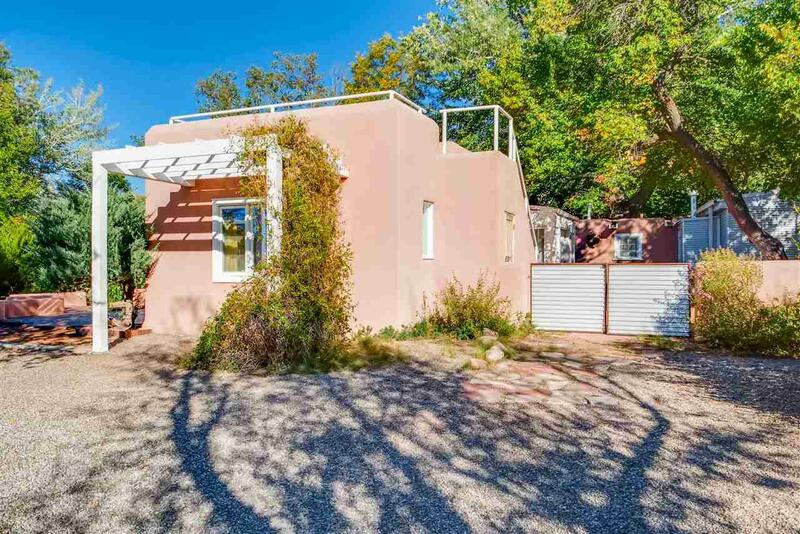 It is part of a community of authentic northern New Mexico homes nestled amidst ancient cottonwoods in a greenbelt above the Pojoaque River. 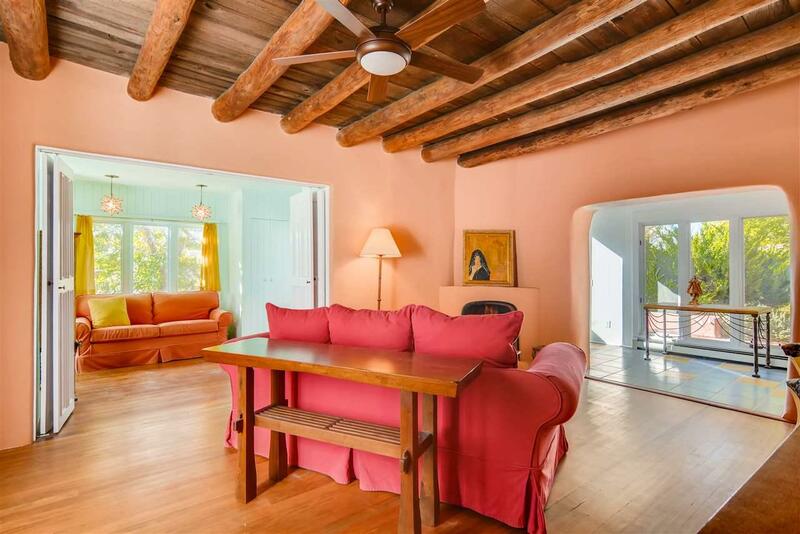 Outside this Territorial styled adobe you'll enjoy portals, patios, a large walled courtyard, and a rooftop area providing views of the Barrancas. While inside this amazing home be prepared for architectural splendor with a kiva fireplace, wood and brick flooring, viga ceilings and ample light from numerous windows. On the far end of the large courtyard there is a separate and charming one bedroom. The community offers a quaint chapel, the kitchen house with 2 guest bedrooms, a community garden, acres of wetlands, a windmill, privacy and serenity. 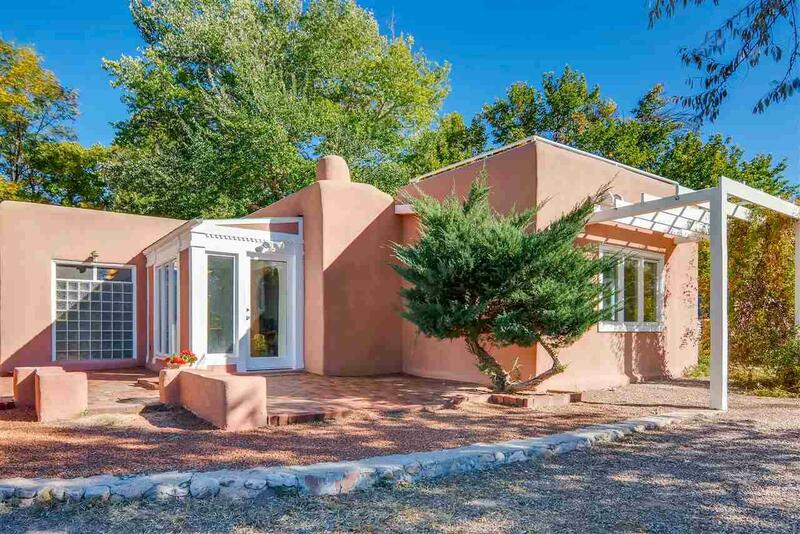 Listing provided courtesy of Efrain Aguirre-Prieto of Santa Fe Properties/Washington. © 2019 Santa Fe Association of REALTORS®, Inc. MLS. All Rights Reserved.